Sfoglia — ALIX is an international membership of dynamic and engaged women professionals. 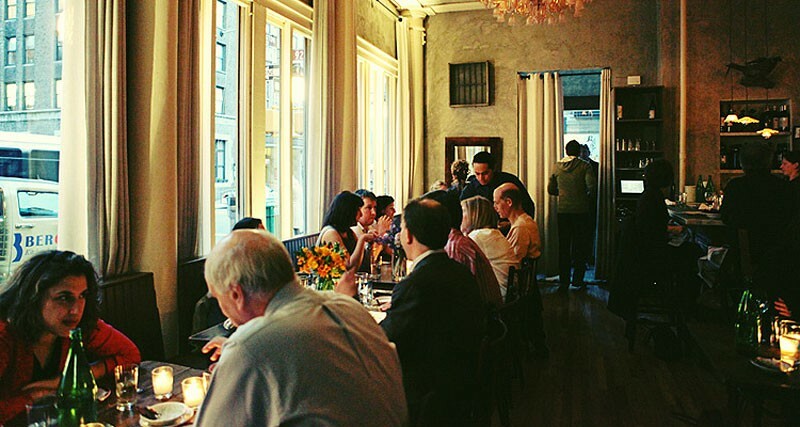 An ALIX favorite, Sfoglia is a great place to eat before heading over to an event at the 92nd Street Y. The space has a restful neutral palette punctuated with 1940s enameled dining tables and pressed-tiled ceilings in the front room. 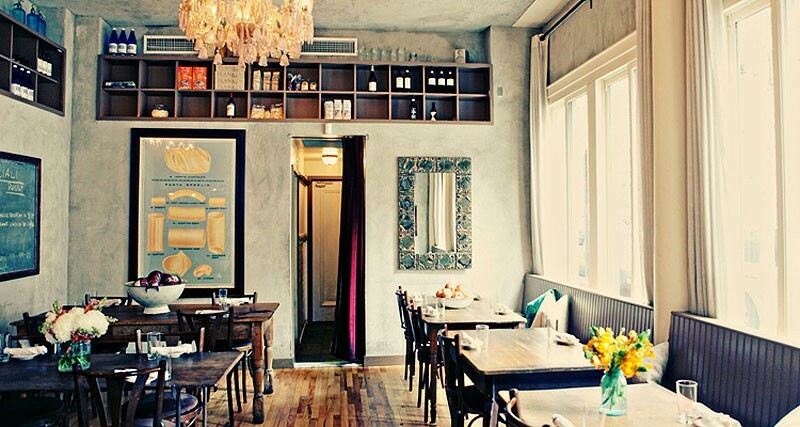 Our preferred dining areas are at the small bar or a seat at one of the few communal tables. The food is delicious and inventive, particularly in the way they pair flavors and textures, such as the ricotta-whipped parsnips topped with a red pepper confit! Who could imagine! The service is great and genuinely warm with the maître d’ ensuring that your evening is homey and comfortable. One of their signature dishes is the apple torte. Be aware, it takes an hour to prepare so you might want to come back after an event at the 92nd Street Y and end your evening with dessert. The maître d’ will reserve a spot and make that happen for you!